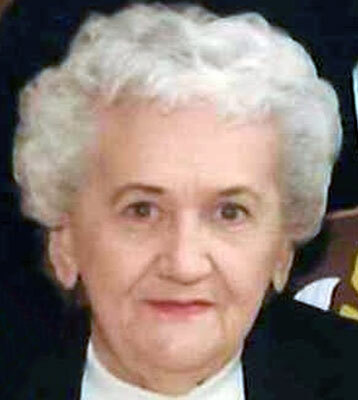 EDNA I. HARTMAN CANFIELD – Funeral services will be at 11 a.m. Friday, Feb. 1, 2013, at the Lane Family Funeral Homes, Canfield Chapel, 65 N. Broad St., for Edna I. Hartman, 84, who died Monday afternoon at St. Elizabeth Boardman Health Center. Edna was born Sept. 20, 1928, in Youngstown, a daughter of the late Tim and Anna Barringer Ague and was a lifelong area resident. Edna was a homemaker and enjoyed spending time with her family. She leaves her husband, Raymond W. Hartman, whom she married June 21, 1947; four sons, Brad (Janet) Hartman of Austintown, Brian (Tammy) Hartman, Barry (Judy) Hartman, and Brett Hartman, all of Canfield; one sister, Dorothy Trachek of Hubbard; eight grandsons; one granddaughter; and five great-grandchildren. Besides her parents, Edna was preceded in death by a brother, Jack Barringer; and a sister, Edie Urichko. Friends may call on Thursday from 5 to 7 p.m. at the Lane Family Funeral Homes, Canfield Chapel. Family and friends may visit www.lanefuneralhomes.com to view this obituary and send condolences.